Is Karnaphuli Paper Mills going bust? 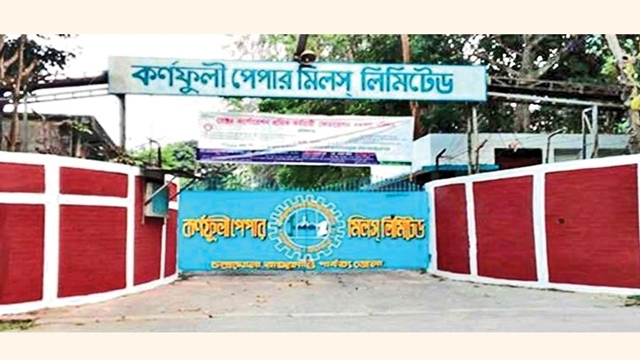 The state-owned Karnaphuli Paper Mills (KPM) is fast sliding into crisis as both productivity and financial health of the entity have deteriorated, officials have said. Established in 1953, the mill under the Bangladesh Chemical Industries Corporation (BCIC) was holding a good share of the paper market until the 1990s. But the trouble began soon and the KPM kept losing its market to the emerging private sector. Now, it cannot meet even the barest minimum of the annual domestic demand for paper, according to officials. As production was on a free fall, the amount of loss and liabilities of the unit kept ballooning. The company's annual loss has been estimated at more than Tk 25 million while the cumulative liabilities stood at Tk 7.0 billion. Officials identified factors like decades-old machinery, shortage of technical hands and apathy to reinvestment behind the sorry state of the paper manufacturer. When contacted, BCIC chairman Md Haiul Kuaium said they are struggling to continue production at the KPM due to the growing income - expenditure gap in its balance sheet. To mitigate the crisis, the corporation lent Tk 3.0 billion on multiple occasions, but things remained almost the same on a losing streak, he said. As part of the BCIC's renovation plan, he said, the company last week signed a memorandum of understanding with a Chinese firm to do a feasibility study on the mill. Mr Kuaium said, "The study will require six months to complete. If it is found feasible, the age-old unit will be replaced by a modern one." Talking to the FE, KPM managing director Dr MMA Quader said it becomes tough to continue production at an expected level by a unit, which is 70 years' old. He said daily production went down to a maximum of 30 tonnes of paper against the unit's designated capacity of 100 tonnes. Mr Quader claimed to have taken initiatives that helped cut loss to Tk 25 million from Tk 80 million recorded in February 2017 when he joined the struggling entity. The unit should have been overhauled once in five years, which did not happen. Even it has a dearth of people who are technically sound, he said. According to Mr Quader, the mill has total liabilities of Tk 7.0 billion, of which Tk 3.0 billion is owed to the private sector. "The situation is so bad that we haven't paid salaries to staff members for the past three months," he said on a note of frustration. According to a senior BCIC official, no factory can make a profit these days with the technology used in the 50s and which is highly labour-intensive and costly. More than 1,000 people have been working in the production line while private factories with the same capacity are employing less than 300 people, he said. "Many people are sitting idle at the factory. Another major reason behind this state is right persons are not in the right places." "I mean, many people have been appointed to the mill who have no technical know-how of this particular area," the official said on condition of anonymity.